Six years ago, early on the morning of Israeli Independence Day, we received an urgent call from Moriah’s nursery school teacher. Moriah’s friend, 4-year-old Rivki–the daughter of singer Yonatan and Yael Razel–had suffered a traumatic brain injury and was in critical condition. For the first few days after the accident, it wasn’t clear at all if Rivki would even survive. And even after her condition stabilized it wasn’t clear at all if she would ever walk again or talk again. But B”H, we have seen amazing miracles. Today Rivki is a regular, healthy, cheerful 4th grader. In honor of the miracles they experienced, the Razels commissioned the writing of a Torah scroll for Nachlaot’s Batei Broide Synagogue. 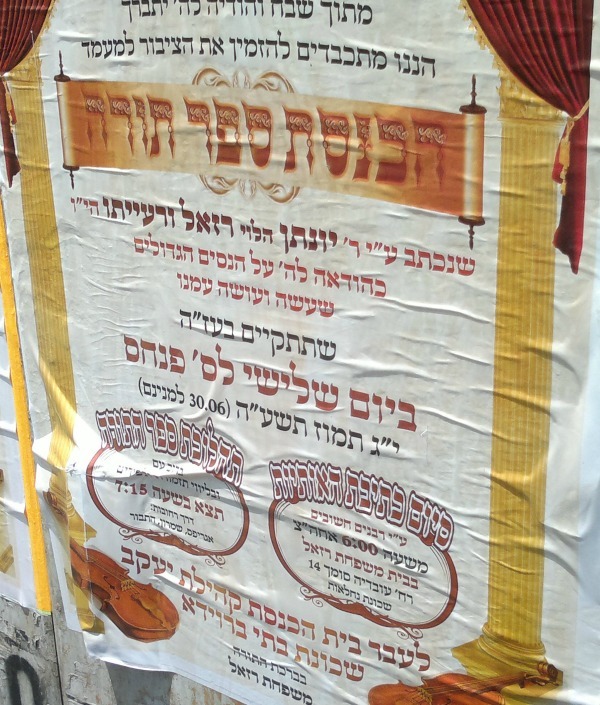 The Hachnasat Sefer Torah will take place tonight. Here’s the announcement, all are welcome! So, JewishMOM, the next time you feel like there’s no hope, and are on the brink of despair like we were 6 years ago…remember this sign! The Best Mom of the Year is YOU! dear Jenny, it is therefore exactly(already!!!) six years since i discovered your website, i remember well this accident it was also my first encounter with you!! yechar koah!!! i pray every day for your father!! 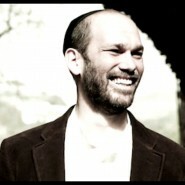 Hodu LaShem Ki Tov! How beautiful! May all cholei Yisroel have a Refuah Shleima. Especially Alter Shimon Yechezkel ben Rochel Chana – an 11 yr. old boy from Monsey that was in a car accident & is in a coma. Everyone please keep him in your tefillos.